SIR, Apropos the report, “Subbarao for inclusive growth” (3 August), licensing of new banks in the private sector is on the anvil. According to the eligibility criteria, entities in the private sector, owned /controlled by resident Indians with sound credentials and integrity will be eligible to promote banks. Commercial banks were nationalized in 1969 with the basic objective of controlling private monopolies and to ensure smooth supply of credit to the social welfare sector. Since 2003-04, the task of financial inclusion has been entrusted to the commercial banks. Their performance in the face of various limitations does not inspire much confidence. This explains the move to encourage the private sector. 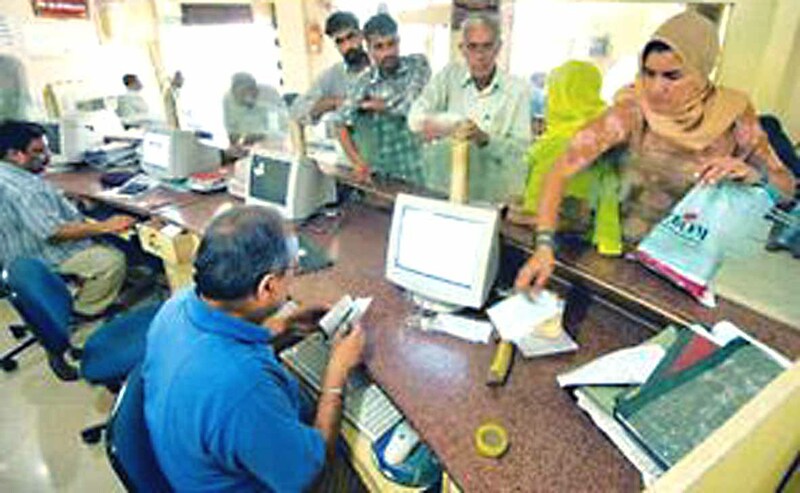 The gross NPA of commercial banks was Rs 71,800 crore in March 2011; it increased to Rs 1.55 lakh crore in December 2012. Industries are sick, but not the industrialists. The legal system has not been able to ensure recovery. On the contrary, defaulter-borrowers take refuge under the law. The commercial banks are thus more sinned against than sinning. Taking advantage of the gullibility of villagers a large number of sham companies collect crores under collective investment schemes (CIS). The money that is collected is swindled. The small and marginal depositors are driven to penury, if not suicide. Corruption and legal lacunae have damaged the banking system. Political will and a rejig of the legal system are essential for ‘poverty sensitive growth’. The private entity that is granted a banking licence must possess sound credentials and integrity ~ the scarcest commodity. RBI ought to review its licensing policy, taking care of those who are often swindled. SIR, This is with reference to Sankar Sen&’s article, ‘IB versus CBI!’ (28 July). There is no rift between the CBI and Intelligence Bureau, as Mr Sen suggests. The CBI is a responsible police organisation and fully respects the key role being played by the Intelligence Bureau in national security. In fact, contrary to the opinion expressed in the article, the CBI is working in close cooperation with IB to investigate several cases including those pertaining to alleged fake encounters, as directed by the court. The article states that the CBI investigation will lead to the disclosure of ‘secret undercover operations’ by the Intelligence Bureau. This allegation is unfounded; a CBI probe is within the ambit mandated by the court. Our investigation relies strictly on evidence collected on field, which is subject to a strong and robust mechanism of scrutiny by police and legal officers, as per law. The writer also alleges that the CBI is “leaking” information about the IB. We strongly deny the allegation. Our findings are only shared with courts and legal officers, as per requirement. The CBI is a professional and dedicated premier investigation agency, with vast experience and is fully aware of its constitutional and legal obligations. It has an impeccable record and has earned the trust of the public. Investigations conducted by the CBI are free and fair. As per law mandated, any person irrespective of his position or rank will be investigated, if required, with a view to solving a crime and unearthing the truth. (Chief Information Officer, CBI), New Delhi, 30 July. * We hope Mr Sen finds this more reassuring than we do. SIR, I have been reading The Statesman for the past 38 years. The paper has recently been redesigned. The Monday feature, Viewpoint, has been scrapped. I love the paper not because of its getup but for its journalistic ethics ~ honesty, integrity impartiality and a very lucid style of presentation. It can be referred to students as the de facto standard of English. Moreover, it maintains the tradition of fearless journalism, with no holy cow to protect. However, the paper was more comprehensive before the facelift. Jettisoning the old for the sake of fashion and design is very likely to dent the popularity of The Statesman ~ the greatest daily in the country.